Located on Nantucket Island, Massachusetts, The Wauwinet is a proud member of the Relais & Chateaux Association and is known for its excellent customer service, accommodations, and delectable cuisine. It is a unique hotel with a historic appearance and gorgeous views. 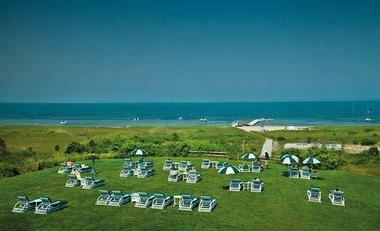 There are two private beaches on both the Atlantic Ocean and the Nantucket Harbor. This hotel is for guests 12 years and older and is a seasonal hotel, open from mid-May to October. Guests can enjoy gorgeous sunsets over the water in comfortable chairs, take part in the many activities and equipment for guest use, and find relaxation in the on-site spa. 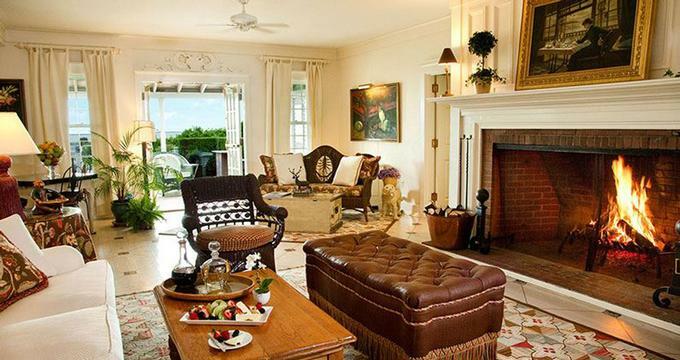 The Wauwinet is a boutique hotel with 32 guest rooms and four cottages across from the Main Inn. Each room includes superior bedding (400 thread count Pratesi linens to be exact), as well as cozy, soft robes, HD televisions, CD and DVD players, and aromatherapy bath products. The guest bedrooms are on the second and third floors and have beautiful views of the gardens at the entrance. They have queen size beds in each room. If guests prefer views of the harbor, the Bayview bedrooms are perfect – they also come with queen size beds and are located on the second and third floors of the Inn. Superior bedrooms are located on the first and second floor and include king size beds, a sitting area, and a beautiful view of the gardens at the front entrance to the Inn. 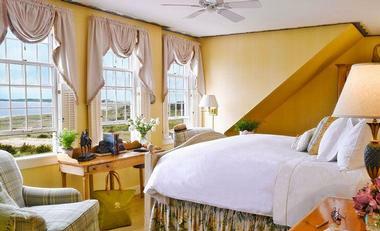 Deluxe Bedrooms are located on the second floor of the Inn and feature comfortable king size beds, two chairs, and a sweeping view of the Nantucket Bay. Superior Two Queen rooms are located on the second floor and allow guests to enjoy scenic garden views and a sitting area. If guests require less space but lots of comfort, there is the Guest Two Twin bedroom with two twin beds and a cozy nautical feel. On the first floor is the Coatue Suite with a king size bed, a roomy sitting area, and a set of French doors leading to a private, furnished sundeck. The One Bedroom Cottage Suites are located across from the main inn, and each has a separate bedroom with a king size bed, a gas fireplace in most, and a comfortable living room area. The Anchorage House is the three bedroom three bathroom private cottage on site, and it is perfect for larger groups. This cottage can accommodate up to seven guests and has all the comforts you would need while away from home, including a living room, mini fridge, microwave, balcony, and more. More ideas: 20 Best Romantic Places to Stay on Nantucket, 21 Best Things to Do on Nantucket and Best Romantic Restaurants on Nantucket. The Wauwinet boasts an award winning restaurant on-site called Topper’s. It is a seasonal restaurant closed from the end of October to near the end of April. It is a guest favorite with a la carte and prix fixe menus that feature many seasonal and local foods, including produce and seafood. One dish to try is the Retsyo Oyster’s on the half shell, as the oysters are harvested a mere 300 yards away. The wine list is massive, with 1450 wines listed. The Topper’s deck is the perfect spot for more casual dining and features a heated awning covered area where guests can take in views of the bay. Topper’s serves breakfast, lunch, and dinner. For snacks, there is port and cheese served daily in the library, and guests can access fresh fruit all day long. Complimentary coffee and pastries are served each morning as well as afternoon port and cheese plus some snacks. Room service is available for guests wishing to enjoy a meal in their suite. Aboard the Wauwinet Lady, guests can reserve a spot to delight in a lunch or dinner cruise while touring the harbor. There are packages that can be pre-booked to allow guests to indulge in lobster feasts and various other seafood creations from the top-rated chefs at Topper’s. Guests can enjoy a fine glass of wine from one of over 1400 options on the wine list at Topper’s at The Wauwinet. The bar is open daily from noon until 11 p.m. The Grey Lady is a casual bar located on Nantucket Island and about a 15-minute drive from The Wauwinet. They serve up local seafood for guests who are looking for a flavor of the local cuisine to enjoy with their beverages. If guests would like a bar with a little excitement and music, Muse is a good choice. It is a laid back bar with live bands and a dance floor to dance the night away. It is located a short drive away from the resorts. Meursault is only a short distance away and is an elegant wine and cheese bar perfect for a romantic after dinner drink. It has an old-world charm, with stone detailing and a candlelight ambience. Where to stay on Nantucket: Jared Coffin House, White Elephant Village, The White Elephant and more. Guests will have access to the on-site spa at The Wauwinet. Spa by the Sea will delight guests with a very unique setting and various treatments to choose from. 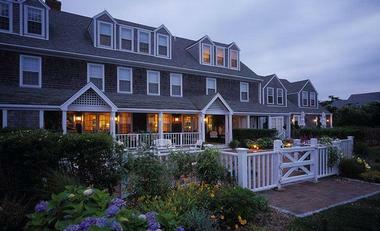 It is located in a cedar-shingled building, one of the inn’s original buildings, at The Wauwinet resort. There are three treatment rooms to serve guests, who can opt for one of their signature treatments including Nantucket’s Cobblestone Massage, Nature’s Firming Facial, Detoxifying Body Massage or Salt Polish, or even their Algae Wrap. These all utilize local and sea-inspired ingredients to enhance the effectiveness of the treatment. Add-on services such as Hand or Foot Parrafin Wax treatments or Amala Eye Lifting Treatment are also available. Guests are encouraged to book ahead to avoid the disappointment of unavailability. 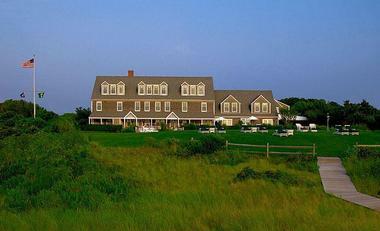 Guests can enjoy a special golf package for the local Miacomet Golf Course on Nantucket Island. Miacomet is the island’s only public 18 hole golf course. It is one mile from the ocean and only three miles to town, making it a very convenient location for guests staying at The Wauwinet. It is a link style course and has multiple tees that cater to golfers of all skill level, from beginner to veteran. Alternatively, Sankaty Head Golf Club, which is a private club, offers the public an opportunity to play a round or two in the off-season from October to May for a fee. It opened in 1923 and is a world-class course, ranked in the top 100 of all courses in America. It is located on the edge of the island to the east in Siasconet. The Wauwinet is an ideal location for an elegant, spectacular wedding or event. Couples can opt for a tented ceremony or even one out on the private beach. The dedicated wedding planner on staff will help each couple make their special day just as magical as they had envisioned. Couples can even reserve the entire property for their wedding, making it a private retreat and even more intimate and special. For small, intimate weddings, the Zen Deck allows a gorgeous backdrop of the coastline for the ceremony and a delectable dinner in the Sunroom, which can accommodate up to 16 guests, or the Topper’s Private Dining Room for up to 24 guests. Both rooms can be combined to allow for up to 40 people. If the wedding is in need of even more space, the awning-covered patio or all of Topper’s dining room can be reserved. Even dinner on the lawn overlooking the beach can be arranged depending on guests’ preferences and wishes. Meetings, conferences, family reunions, and other groups planning special events are welcome at The Wauwinet. There are plenty of menu options to fit whatever style or budget there is in place for each function, and there are room options to accommodate up to 45 people indoors. The Wauwinet is an eco-friendly hotel that strives to preserve the natural beauty surrounding its hotel. The spa also focuses on using natural, organic products to lend to sustainability and to keep with an environmentally friendly atmosphere. Guests of The Wauwinet are treated to a complimentary Pre-Arrival Concierge service where guests are contacted prior to arrival to arrange transportation, make any reservations needing to be made for restaurants or spas, book tours, or excursions guests wish to take, and to offer assistance with overall planning of a wonderful, enjoyable vacation. There is a water taxi, The Wauwinet Lady, to transport guests free of charge. Daily shuttle services are offered to and from town for shopping, dining, and other activities. Upon checkout, guests are treated to a little parting goody bag as a thank you from the hotel. Since The Wauwinet does not accept guests under the age of 12, there isn’t a Kids Club or specific family services. There is a DVD library and popcorn available to guests wishing to spend a quiet evening in watching a movie, which would appeal to families with older children. There is also complimentary use of paddleboards, bicycles, and kayaks. The area boasts many hiking trails to explore as well, which makes for great time spent with family. 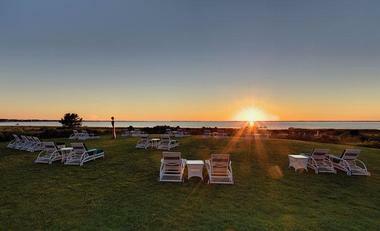 Back to: Weekend Getaways from New York City and Things to Do on Nantucket.